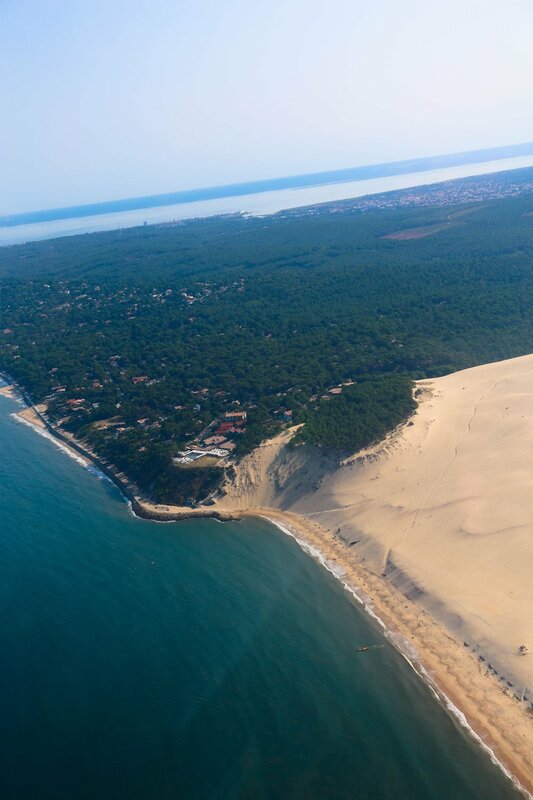 This sun-kissed country-side by the name of Bassin d'Arcachon (or Arcachon Bay) is where I spent my childhood and where I'm currently residing. Located somewhat 65km away from the south west of Bordeaux, it is consisted of a few port towns, mainly producing Oysters. Locals often split into two sides, côté Arcachon or côté Cap Ferret. 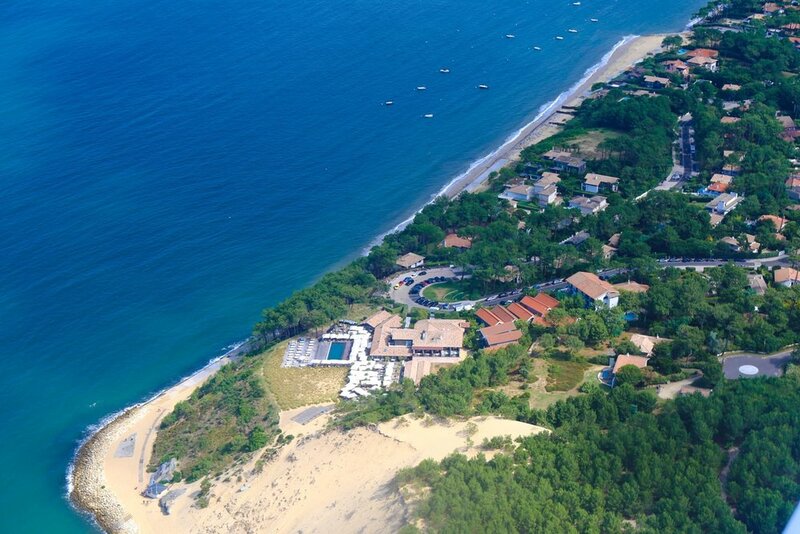 If you're in Arcachon, the town directly opposite would be Cap Ferret. Except to get there, you'd have to take a ferry or drive an hour. So I hardly go over to the opposite Cap. 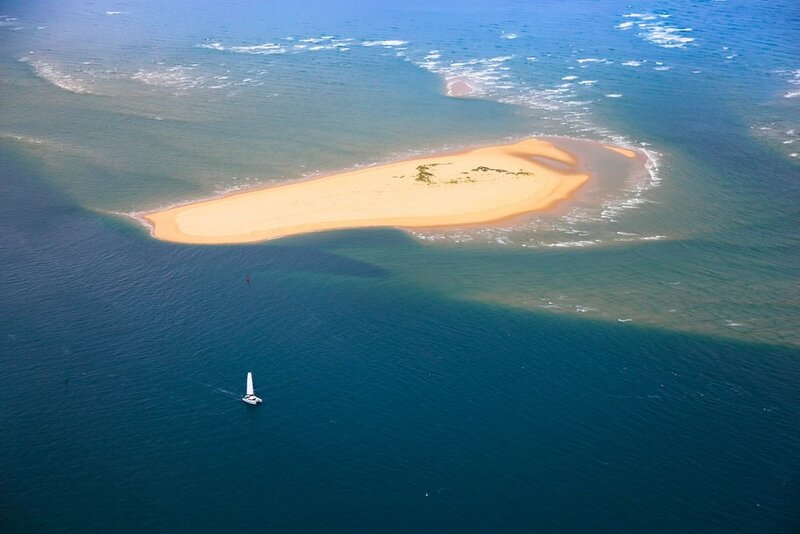 If you look a the map, Cap Ferret is the tip "protecting" Arcachon bay from the huge Altantic ocean. I've tried flying with my brother when he was still learning. His instructor is a cool old man. 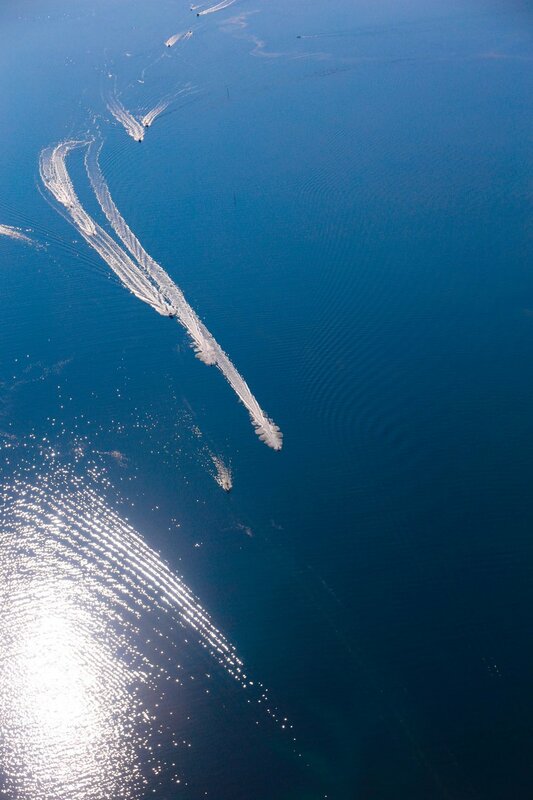 When I flew with them, he made my brother do a 60º turn that left me partially floating in mid-air. In a way, it was rather scary for my first-time in such a small plane. But now that my brother can fly whenever he wants, it makes me eggcited to try new stuns! However, this was the first time we brought our mom along. She was originally freaking out about how scary the flight would be Ψ(｀∀´#)ﾉ but we both managed to convince her and tryout a flight with her new private pilot. 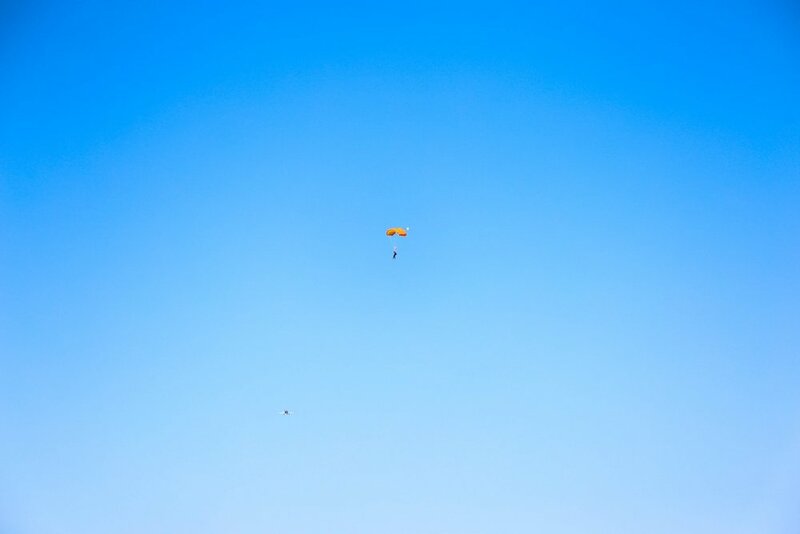 We booked a flight on a Sunday morning... but there were a lot of people getting onto another plane for parachuting ヾ(≧∇≦)ゞ While my mind would love to experience that 10000 feet jump, unfortunately my body isn't ready yet! Besides, it was the first time that I got the front row seat! Eggcited was an understatement. If you haven't notice, one of my favourite place to chill around would be at La Coorniche. It's a bit of an expensive poser hotel club, however you get the perfect views of the sunset and great ambiance when the sky turns into a different hue. Forget Cote d'Azur, I'd gladly live there forever if I can! 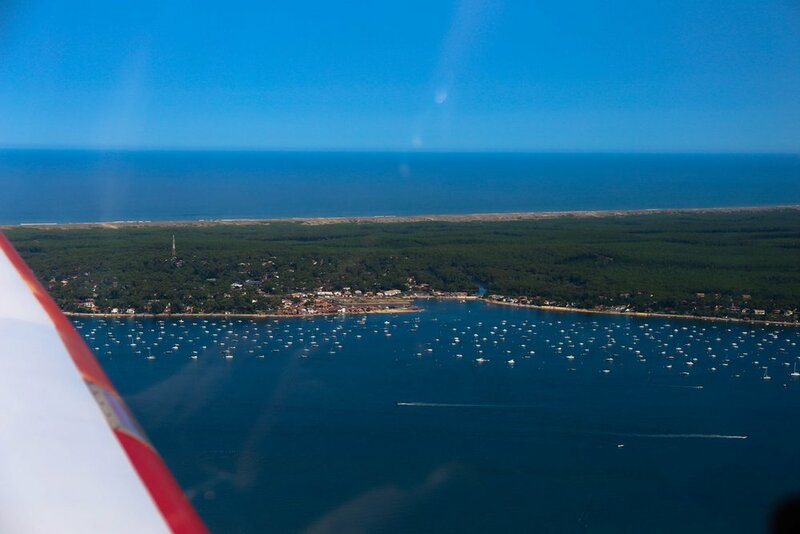 While I have my brother flying me around Bassin d'Arcachon, if ever you're interested, you can book your own tour too. 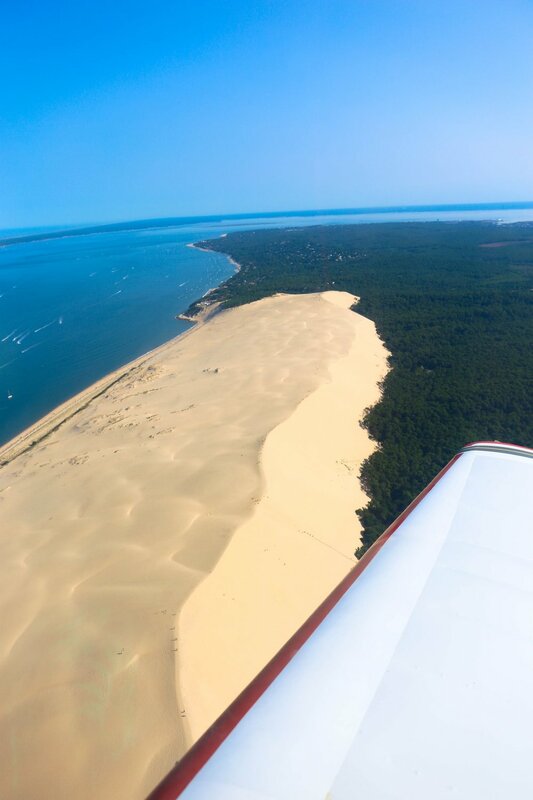 The ride around Bassin d'Arcachon lasts around 30mins for you to see the best views from the top. You can call them up at +33 (0)5 56 54 72 88 to book!